For more than 15 years, government organizations have been evolving the “business of government” to meet digital demands and take advantage of new technology. Yet, for many organizations, “digital government” still feels more revolutionary than evolutionary. Translating paper-based processes into digital, automated processes involves detailed business analysis. Gaining stakeholder buy-in across the organization can be difficult. Digital triumphs can require innovation. DocuSign and Laserfiche recently hosted a webinar to ask three experts how they have overcome these barriers, and what they see as the next phase of “digital government.” Dr. Robert Sobie, Director of Information Systems at Top Digital County Eaton County, Catherine Kunst, Director of Operations at the Colorado Statewide Internet Portal Authority, and Jack Miles, former Secretary in the State of Florida and Managing Partner at MainSpring Advisors LLC, weighed in on the topics below. Going digital starts with taking a look at your current processes and analyzing the most efficient way to get from point A to point B. Then, organizations use business process automation technology, such as ECM or digital signatures, to expedite the new process. Most often, digitization involves re-working your process as whole, not just replacing paper with Word documents. This can result in cost savings, increased efficiency and better citizen service. In this clip, our experts chimed in on how to calculate the ROI of automation and some of the benefits they’ve seen. There are many stakeholders in digital government initiatives: end users of technology, departmental decision makers, council-members and policy makers. 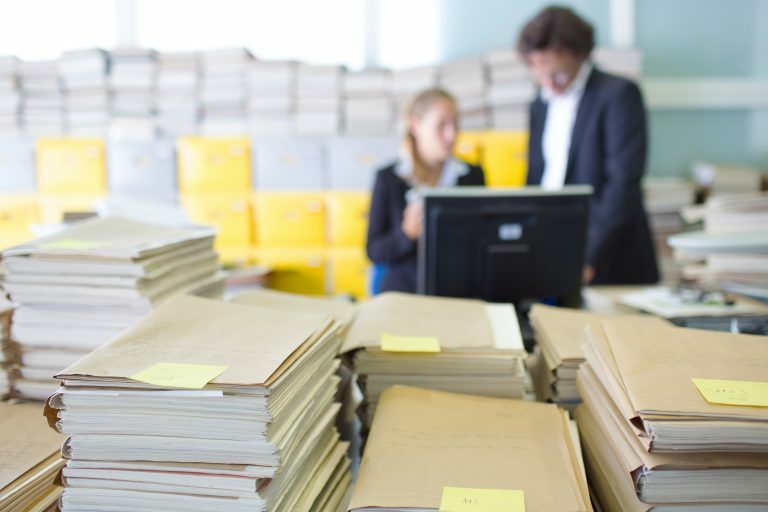 For a digitization project to be successful, it is critical to get all these stakeholders onboard and address their concerns before moving forward. In this clip, the digital government experts discuss the best ways to get buy-in for digital initiatives, overcoming challenges for moving forward and the dynamic relationship of policy and technology. Many government employees are motivated by a commitment to citizen service and a more efficient government—and they come with fresh, new, innovative ideas. How can we tap into government’s human capital and spur innovation to drive digitization? Learn how our experts encourage innovation among their staff and use state-level incentive programs to honor innovation in this video clip. Ready to make your organization fully digital? Click here to download Streamlining the Business of Government, a strategy report from the Center for Digital Government that shares how organizations are automating government processes. Also, visit the DocuSign website to learn how federal, state and local government organizations manage digital transactions in a secure and compliant manner.